The final F.A. 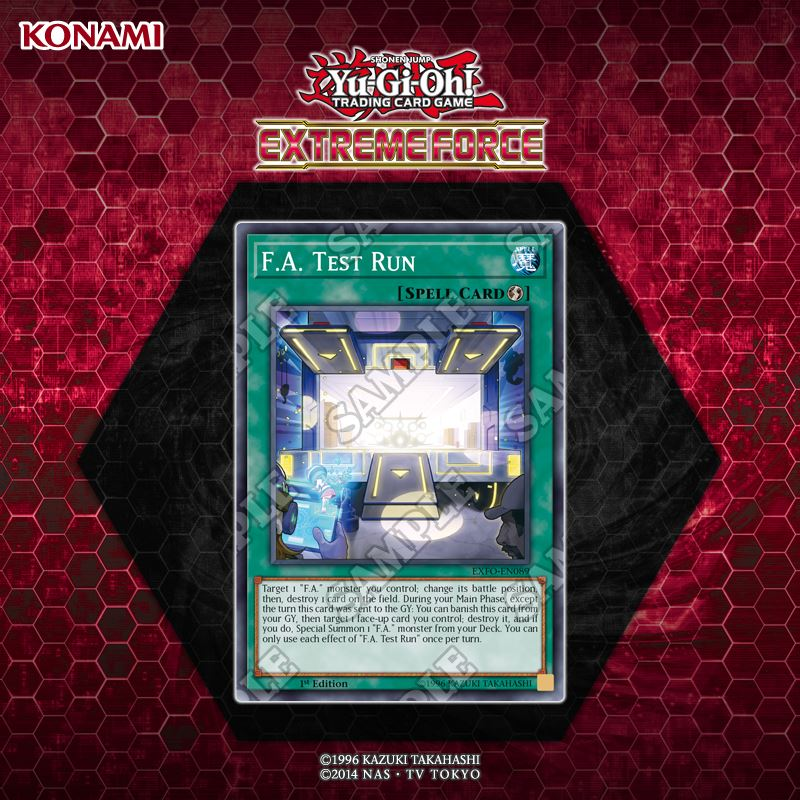 card for EXFO has been revealed and it has pretty awesome effects to destroy cards and also special summon from the deck! Target 1 “F.A.” monster you control; change its battle position, then, destroy 1 card on the field. During your Main Phase, except the turn this card was sent to the GY: You can banish this card from your GY, then target 1 face-up card you control; destroy it, and if you do, Special Summon 1 “F.A.” monster from your Deck. You can only use each effect of “F.A. Test Run” once per turn.